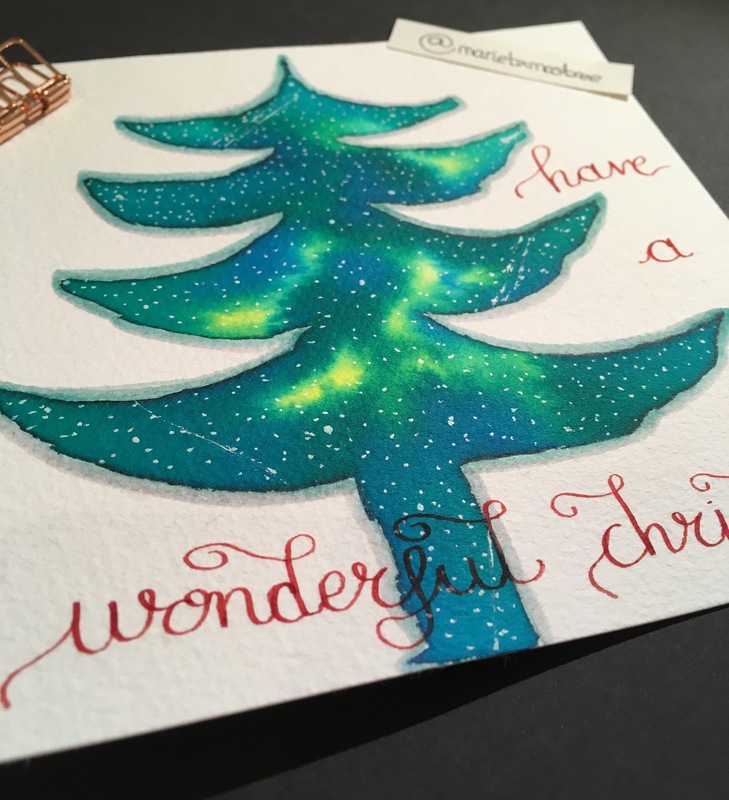 A Christmas tree galaxy – Watercolour & Christmas. 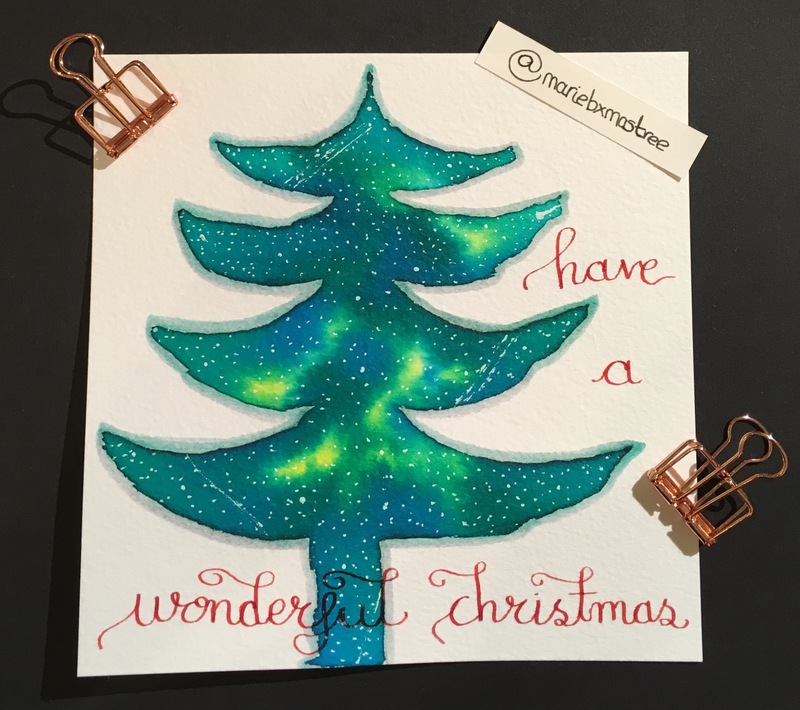 As Christmas production is starting to kick in I thought I would have a try at a Christmas galaxy, using the same water and ink mix technique. In previous pieces I have added the black ink last and, as it has dried, it has spread into the other colours and taken over a bit. For this piece I thought I would try without any black. 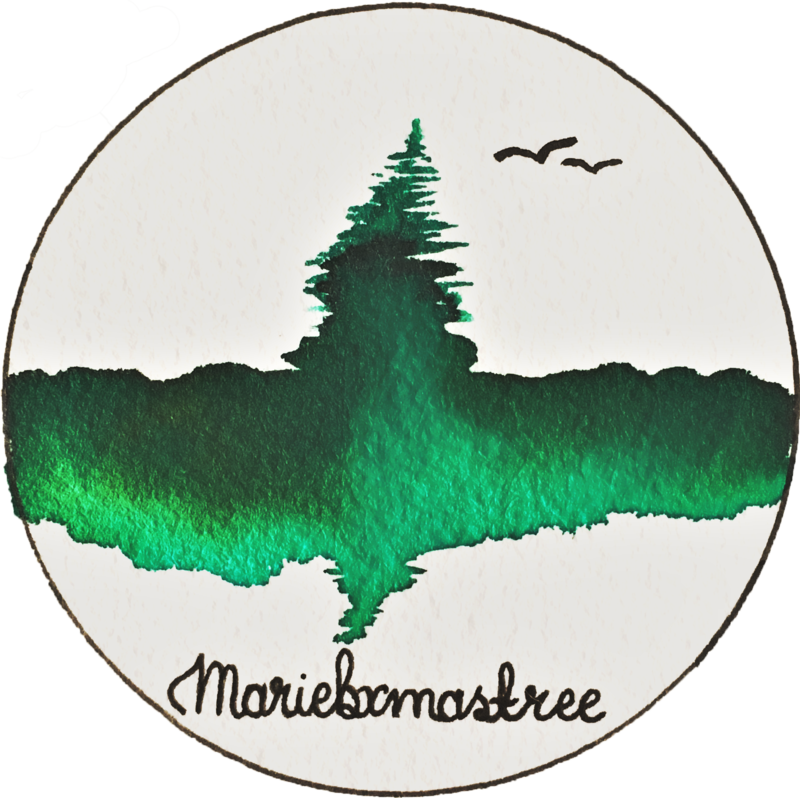 I drew the tree shape in pencil on a 14×14 cm square of cold pressed watercolour paper. I then ‘painted’ the tree shape with clear tap water so that there was a small amount of water on the paper surface. Starting with yellow watercolour ink I gently dabbed my paint brush onto the paper and let the ink spread. Then followed with green and once the tree was completely covered I added little dabs of blue ink to add some depth. I added slightly more green to certain areas to also add a mix of colour. I let this dry completely for a few hours and then added the grey highlighting. I did this using a light grey brush marker, gently colouring around the edges. As I was doing this the marker picked up some of the green ink which I thought added a nice colour to the grey. Using a white ball point pen I then went quickly over the whole picture pressing dots onto the ink for stars. Have you tried a galaxy painting? I’d love to see if you have, tag me in on your post if you’d like to share. Next postKeep practicing and track your progress! That’s so lovely😊 to use the galaxy background in a Christmas tree..Awesome! !